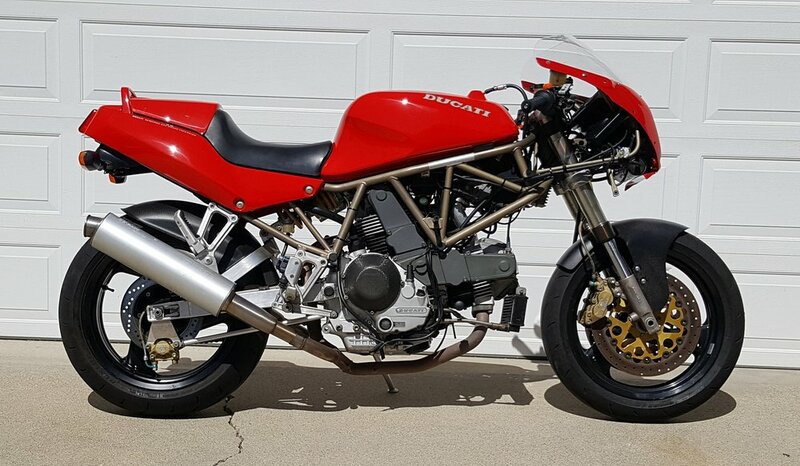 I'm selling a super clean and original 1996 Ducati 900SS-SP. This is the California model of which only 160 were manufactured in '96. The "SP" designation (Sport Production) means that this model has a numbered plaque on the top triple clamp (SP D32) and has special equipment that the standard "SS" doesn't have. The brakes are upgraded and both fenders and the clutch cover are carbon fiber from the factory. The suspension is fully adjustable front and rear, the swing arm is aluminum and the rear wheel is 5.5" wide. The 900SS-SP was a USA only model that was the equivalent to the single seat Euro Superlight with the difference being a dual seat and low-mount mufflers on the SP. This example is exceptional and has had a ton of maintenance/service work done on it. Mechanically, this bike is perfect; all the lights work, the tires are good, the suspension was rebuilt front and rear by Race Tech, the brakes have been disassembled and cleaned/serviced, The engine has a new clutch, chain/drive sprocket, belts, valve adjustment, oil change, new fuel and oil filters and a new battery. The carburetors were recently rebuilt and work great and all the fuel lines have been replaced. Cosmetically, the paint is flawless and the bike is immaculate. 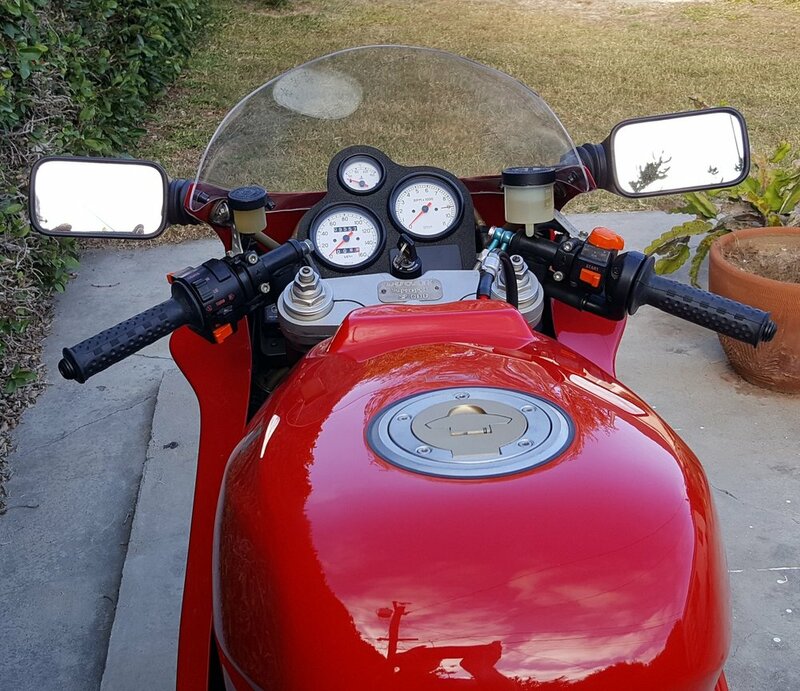 The handle bar switches are in great shape and the grips are new OE Ducati. Included is the original tool kit and owners manual. Clear title in my name. Current registration that is good until May, 2018. 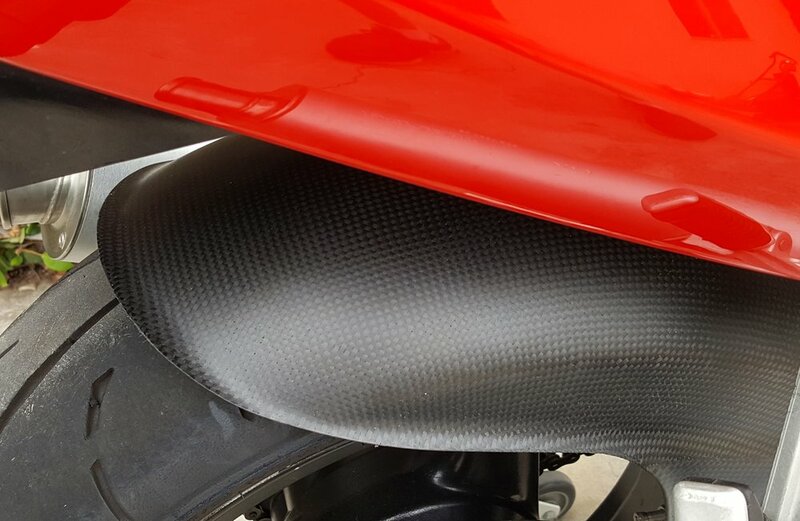 It is insured and ridden regularly so the mileage may change. Some may think the pricing is aggressive, but the SP models are now becoming collectible and you would be hard pressed to find a better one. My asking price is half the price of the new Supersport and the bike will go up in value as the years pass, not down. This 900SS-SP runs fantastic and is a time machine - it takes you back 20 years. Ride it, look at it and enjoy it; I have. Read about the restoration details here.